The ultimate in winter fashion luxury - warm yourself with our gorgeous muff made of 100% fawn light fox furs. This model uses the complete coat, including tails and paws. It also includes an exterior zipper pocket for ultimate wearability. Like all of our products, this muff is handmade by our expert furriers and tailors at our workshop in Kiel, Germany. The furs in this product come from SAGA, one of the world's most respected fur producers. By using the highest quality materials and furs, we are able to offer our customers furs of unparalleled quality and luxury. highest quality and were obtained by humane means. 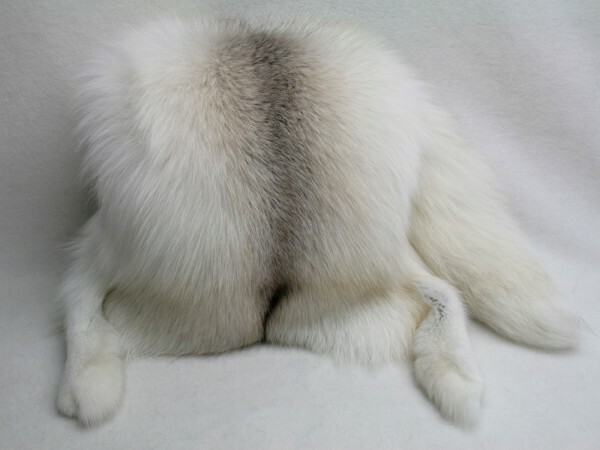 Related links to "Gorgeous muff made of fawn light fox furs with tail and paws intact"
Customer reviews for "Gorgeous muff made of fawn light fox furs with tail and paws intact"